A smart office is all the rage right now in the Internet of Things, and apparently it’s supposed to change the future of work. I would love to work in the future, so let’s build ourselves a smart office. A smart office is an office that utilizes a number of sensors and other connected technology that work together to improve the experience of the office. Though it sounds simple, building a smart office isn’t that easy (if it were, every office would be smart). The core problem is that the sensors and technology that “improve the experience”, don’t communicate with each other or integrate very well — just as in IoT overall. Since we created Losant to make building connected applications much easier and faster, a smart office is a perfect use-case for our platform. We have seen customers use Losant as an orchestration engine between their smart-office technology with great success. Now, we will deliver those same benefits to the Losant HQ. Starting with “Let’s make a smart office,” is unproductive. It neglects any direction to what to build. It’s best to start on a small project and scale up; you’ll save a lot of time and headaches. Having defined problems or use cases determine exactly what you need and provide a mental map of where to begin. 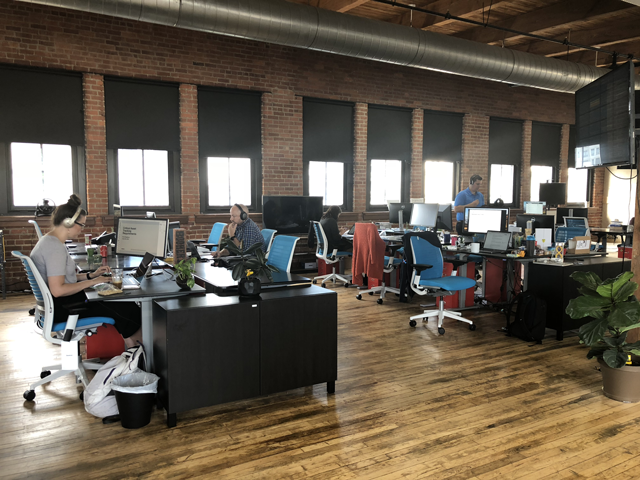 Losant has a long, narrow open office, and temperature control is hard. It’s either too cold or too hot. To dig into this problem, we need some data, specifically temperature data. I plan to place temperature sensors throughout the office to get insight into how it feels in different office areas. To do this, I am going to use the Aeotec MultiSensor 6. It tracks many things: light, motion, vibration, humidity, temperature and UV detection. Because it tracks so many things, I can leverage the other sensors for different use cases in the future. For now, I’m also going to capture motion. It would be nice to know how much different spaces are actually being used. So, with the Aeotec MultiSensor, I get a nice two-in-one use case. 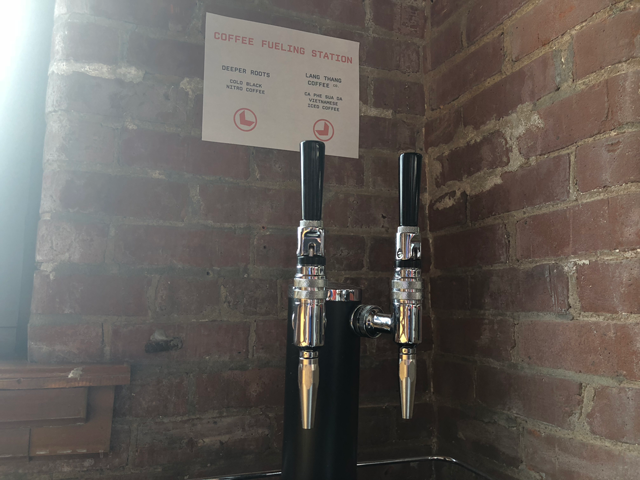 Here at Losant, we are lucky enough to have (not one, but TWO) nitro coffees on tap. One from Deeper Roots Coffee and the other from the Lang Thang Group. Since coffee is a prized commodity at a startup, we have an industrial temperature sensor inside of the kegerator. If the kegerator temperature drops, we want to know about it. Ideally, someone would get a Slack message letting them know that something is off. I know what you’re thinking. This is not the same coffee. See, we have cold nitro coffee and hot coffee (coffee is life). 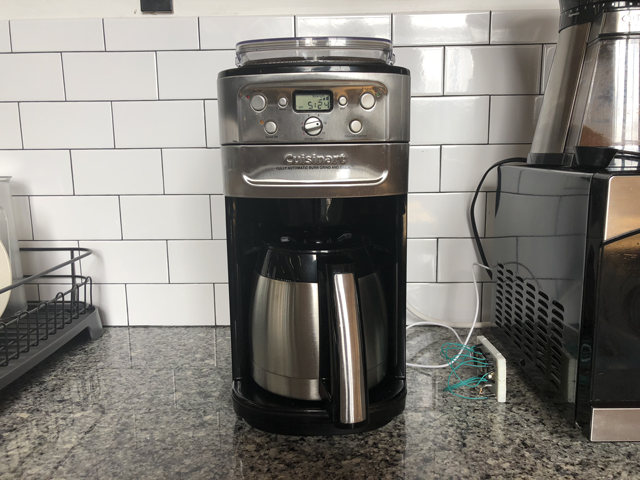 In the kitchen, we have a standard drip coffee machine that is not connected, or “dumb”. However, when people go over to an empty pot, they are deeply hurt down to their inner-most soul, and of course, no one wants to make a new pot. So, I came up with a way to possibly solve this problem. There is a contact-less infrared sensor on Adafruit. Using this, I hope to have a non-intrusive way to measure the temperature of the pot. Then, using heat, we can begin to make educated guesses about the freshness of the coffee, or at least get a notification when a new pot is made. We have thought of other solutions too, like weight. However, this is a process and the best ideas will win. Having an open floor plan is terrific, but sometimes we need a clear indication of when we should be quiet. For example, if VIP’s are in the office for important meetings, or we are recording This Month in Things, we need things more quiet than normal. 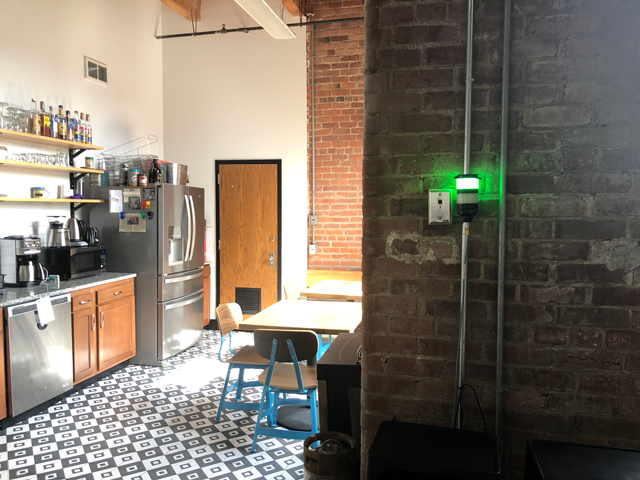 We’ve attached a Banner Engineering industrial light right by the office kitchen, which is very visual for everyone to see — we can flip it to red when everyone should be quiet and mindful. This use case is the most obvious one. A significant advantage of having things be “smart” is saving energy. So, I’m going to outfit our lights with a smart switch. 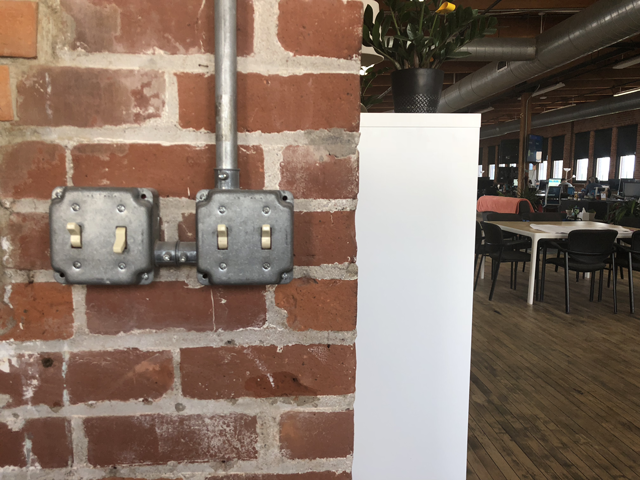 The new switches will give us the ability to turn off the lights at night when everyone is gone to save energy. Along with this, I’m going to outfit some things with smart plugs. My goal is to target items that draw a lot of phantom power. 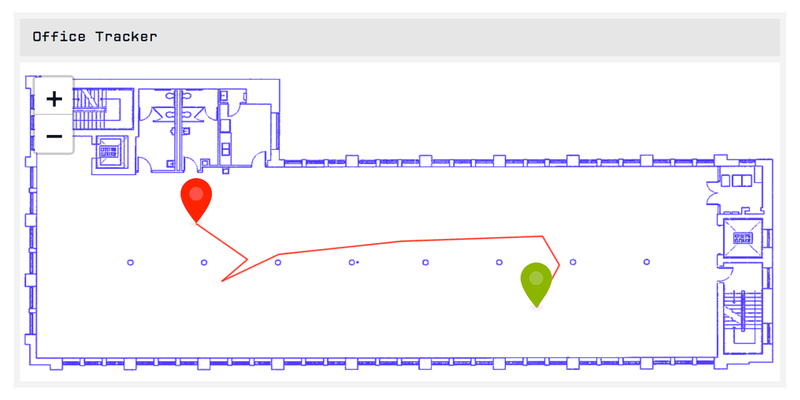 Last but not least, we are going to do some indoor location tracking of special, mostly high-cost, items in the office. Then, plot them on a office map because Losant has an awesome position chart. When we combine the position chart with hardware from HPE Aruba Meridian, which is a Losant partner, we can use this to track some critical items that move around the office a ton. Or, detect if these key items are even in the office or not. We’re building out use cases but we are starting with problems we have defined for our office. Overall, I think every office will be different and have different problems. If you have any ideas, please let me know. I would love to hear about them. Make sure you guys follow us on social media to get post updates! Sign up to receive our newsletter with the latest updates from the Losant team. Originally published at www.losant.com on June 27, 2018.